This is a shot I took while waiting for our photo group outing. At the Gene Lehey Mall there are two slides that are very popular. People of all ages love these slides. The real adventurous bring wax paper and sit on it and just fly. It is very crazy stuff. Anyway - no one was going down the slides. 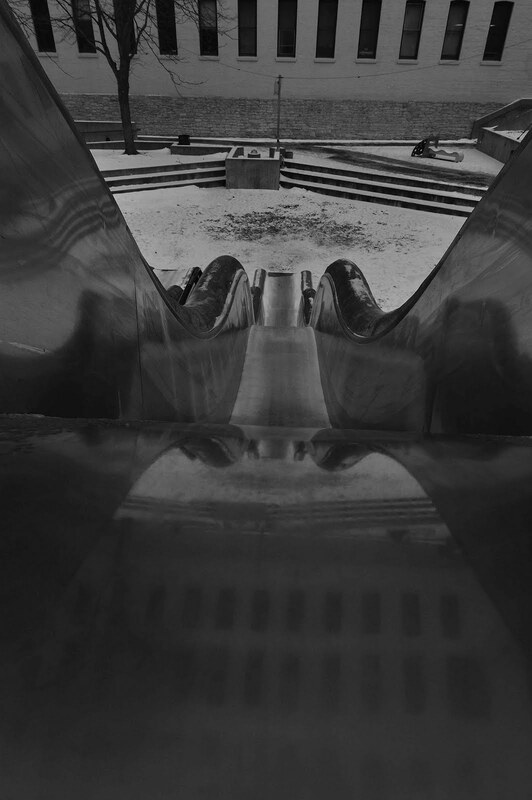 Perhaps the ice on the slide and the fact that it was freezing might explain it. I decided to finish it in black and white. Any thoughts?